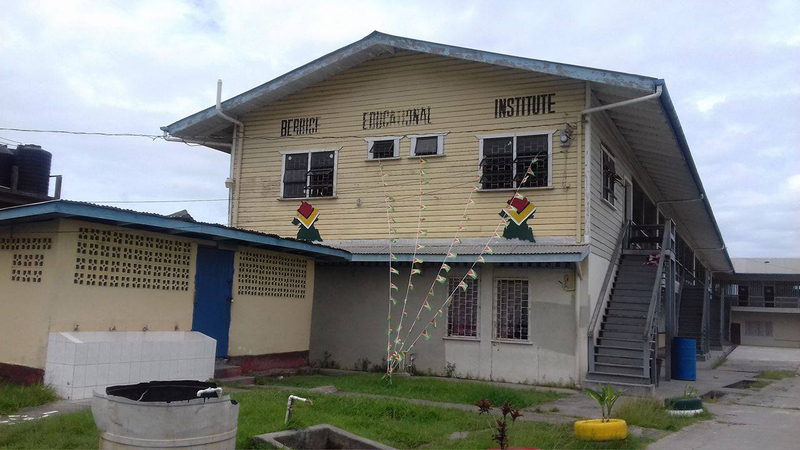 One man is in custody following the shooting of a security guard during an attempted robbery at the Berbice Educational Insti-tute (BEI), New Amster-dam yesterday morning. Two of the three guards who were on duty at the time of the incident sustained injuries. According to information gathered, five men carried out the attack around 2.20 am and they were armed with a hand gun and a knife. One guard related that only one of the bandits was masked. 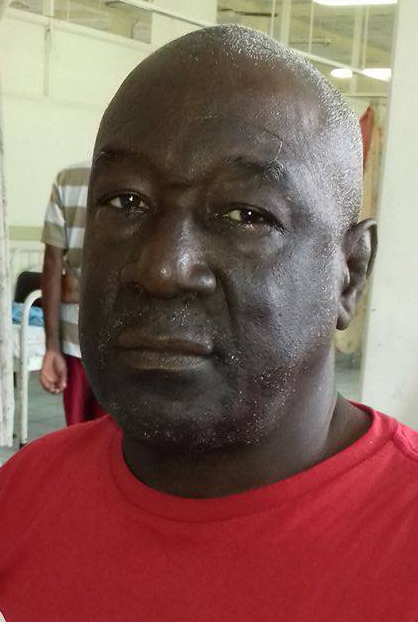 Compton Charles sustained a gunshot wound to his left hand and Neville Roberts sustained injuries to his head. Genever Crandon escaped unharmed. He said he pleaded with the bandits to take whatever they wanted and not to hurt him. However, the bandits did not pay heed to Charles’ plea and shot him. Crandon, 41, believes that it was God who saved her. Crandon said that after the men shot Charles, they rushed to her, grabbed onto her hair and dragged her all the way to the back of the school. She said the bandits, “tell me ‘cooperate one done dead a ready.’” At this point, Crandon said, she screamed for Charles but was warned by the bandits. “They take me downstairs, right round the school. I started calling on God. The fourth time I said ‘God save me,’ the boy that was holding my hair, loose me and ran away,” she said. Crandon said she then hid herself and telephoned relatives and law enforcement officers. She said the police arrived in less than five minutes but the perpetrators had already escaped, empty handed. Apparently when the bandits arrived at BEI Roberts was the first guard they met downstairs and they gun butted him and tied him up at the back of the school before happening on the other two guards. Charles is currently in a stable condition at the New Amsterdam Public Hospital. Commander of ‘B’ Division Ian Amsterdam told Stabroek News that the suspect in custody was also wanted in connection with another robbery, which took place recently in Budhan Housing Scheme. Meanwhile, according to information gathered, on Thursday night five men made an unsuccessful attempt to break into the New Amsterdam Multilateral High School. Investigations into the attempted robberies are ongoing.